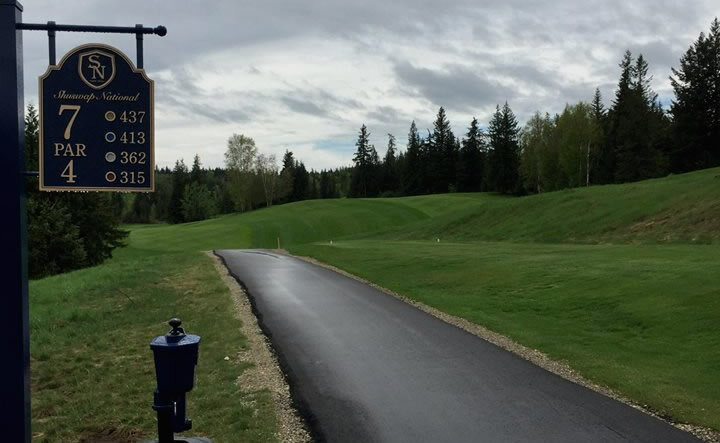 Our golf course opened up for play on Friday, May 11th and we are excited to get started on what’s going to be an amazing year for Shuswap National. The course wintered extremely well and judging by the feedback from our Members and Guests, the additions we made inside the clubhouse are going to greatly contribute to golfers’ experiences here at the facility. Shuswap National, located in the Shuswap area of British Columbia, Canada, offers a unique and eclectic 7100 yard design built among forested areas, rock outcrops, natural wetlands and striking water features.